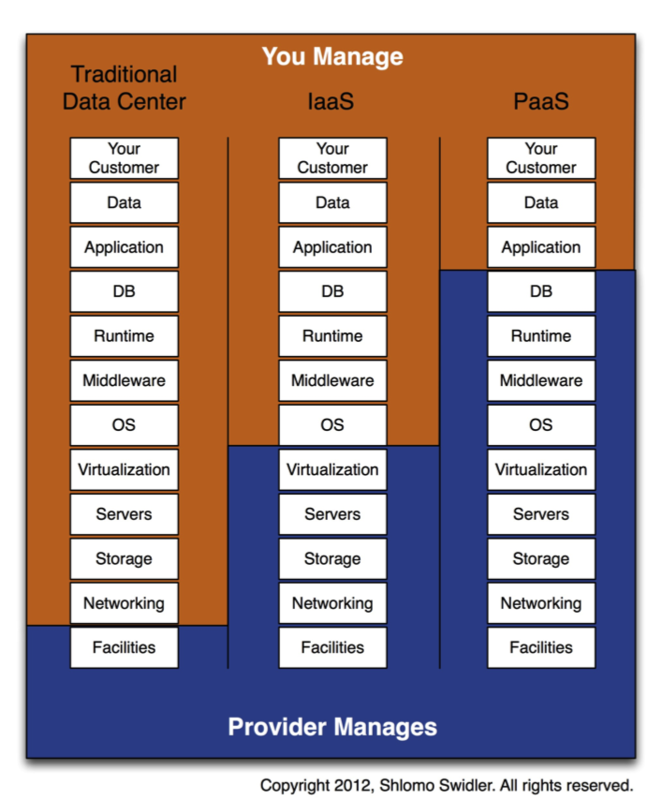 Traditional descriptions of cloud computing and the various cloud operating models – IaaS, PaaS, SaaS – focus on the locus of responsibility for various layers of the system: facilities, network, storage, servers, etc. But these descriptions typically omit a critical element. Can you spot it in the diagram below? The missing layer is the only layer that really matters – the customer. Ensuring that your application can actually be consumed – that delivery can be successful – is a critical part of providing your value. Your application’s facilities, network, and storage may be running properly, but will your customers actually benefit? Without a properly staffed, trained, equipped, and managed operations team, your service won’t last long enough for customers to care. If your customer is important, then so is your operations team. Bravo! Great to see someone connect ops to the customer. The next step is to define what user-centered operations, whether in an IaaS or PaaS or any other environment, looks like. The one thing I’d add to your layer cake, which could be considered an extension of “The Customer”, is “The Internal Customer”. Part of providing customer service is using the technology stack to execute various internal functions. Some of these are front-stage (marketing), while others are back-stage (finance). User-centered operations is a great idea. Here’s a hint about what it looks like: the customer is involved. Internal or external, the customer is where delivery happens. All services that have an operations team (read: all hosted services regardless of where and how hosted) have at least two customers: the economic customer and the operations team itself. By “operations team”, do you mean so-called technical operations, or business operations, or both? Just as we’re dissolving silo boundaries between dev and ops, I think we should also consider dissolving boundaries between business and technical operations. Integrating development and technical operations folks (into devops teams) results in improved delivery speed and reliability. Integrating dev/ops/devops and business operations folks (into what I call “properly run organizations”) results in deliveries that serve more valuable purposes for the customer.